Over the course of millennia, erosion of the lava fields around Lotofaga left the area pocketed with tide pools and a series of blowholes, the largest of which is To Sua (whose name translates to “big hole”). 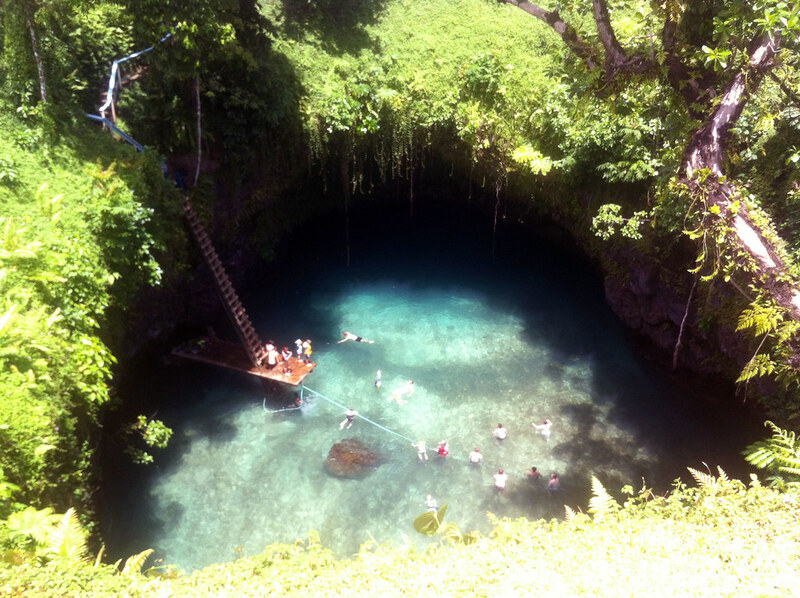 The To Sua ocean trench is a swimmer’s delight, set on the edge of a tropical paradise with the South Pacific lapping at its shores. Surrounded by lush gardens, visitors wind along cliffside paths to the natural salt water pool sunken deep into the earth. The western side of the ocean trench opens onto a small, sandy beach only accessible through a cave-like nook. Sheer rock faces of volcanic basalt disappear underfoot, leaving an epic ladder as the sole access point to the water below. Too impatient to descend slowly? While making a flying leap into the crystalline water may seem a poor choice, at 90 feet in depth, the salt water pool offers a perfectly safe opportunity for those bold enough to give it a go. Should acts of bravado prove less appealing, paddling the turquoise waters of an ocean trench while humming Bali Hai will likely make for just as memorable an experience. The trench closes at 5 PM every day. It opens at 8:30 AM every day except Sunday, when it opens at 12:30 PM. 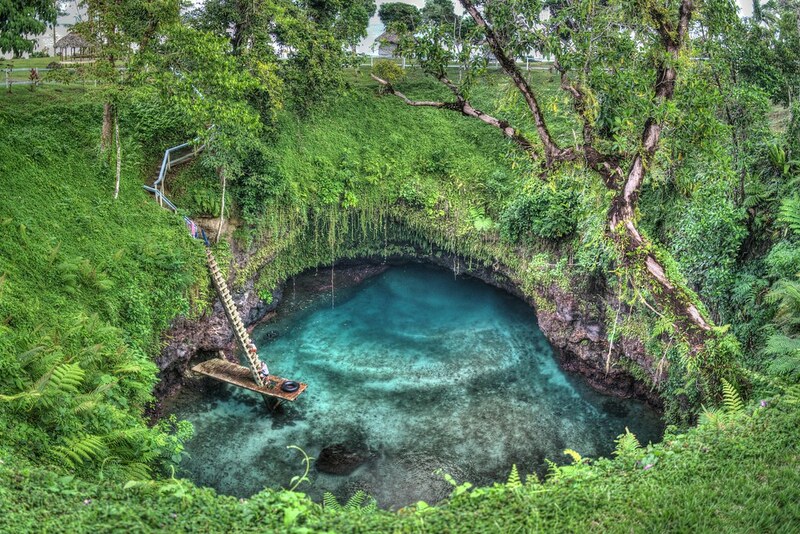 This geothermal hot spring hides beneath a slowly growing mineral dome.